Your browser does not support the Unity Web Player. Want to save the Deadspace shooter for later? Add it to a collection. I made this game in about 10 days (80 hours) from scratch for the Duplicade Gamejam. An alien infection is sweeping the galaxy. Your twin brother has been infected. Fight him and his new family to the death. You have only 30 seconds to win. This game is a multiplayer on one keyboard game for Duplicade game jam. Astronaut controls - WASD move and SPACE to fire. 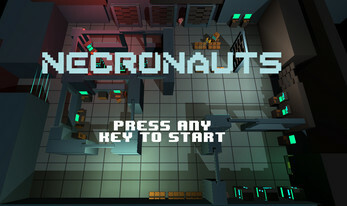 Necronaut controls - Arrow keys to move and ENTER to leap. Necros must leap on the Astronaut to engage BUTTON MASH MELEE! Button Mash Melee - Mash SPACE for the Astronaut and ENTER for the Necronaut.